In a locally run competition for the design of the ASCOBANS Season’s Greetings Card, two winners were selected. 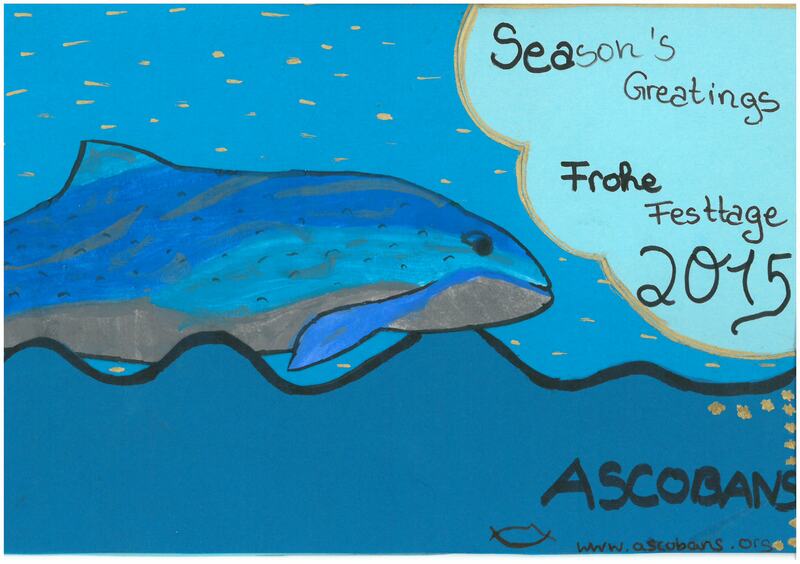 The overall first prize, consisting of an “ASCOBANS Surprise Package”, goes to Doro Schmitz (www.facebook.com/dorosglueck), who created the beautiful porpoise card. In the children’s category, winner Fatou Sow combined drawing and handicrafts to produce her lovely card. 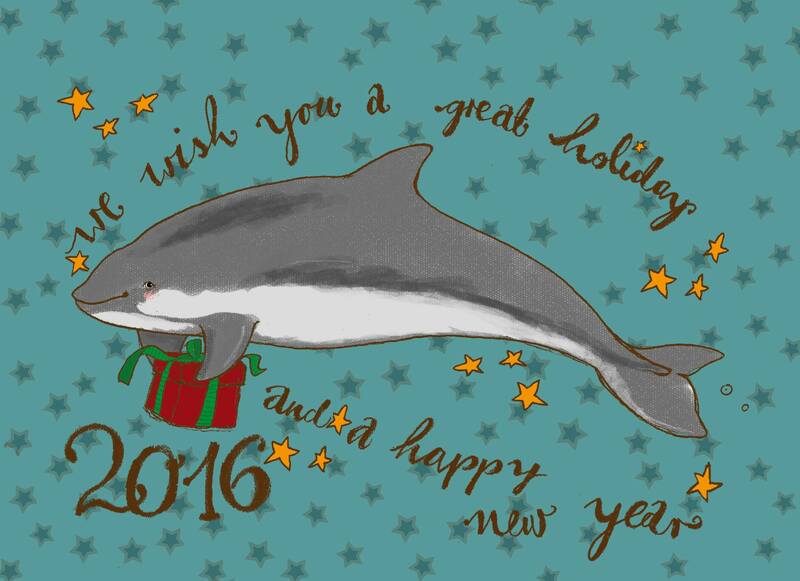 We wish all of you great holidays and, for you and the cetaceans we are doing our best to protect, we hope you will glide through 2016 with ease!